Model driven software engineering (aka MDA, aka MBSE, aka MDE) has had a great future for quite some time, yet there isn’t much consensus about what that could be and, in particular, about what kind of models should be in the driving seat. Pending some agreement about model contents (e.g specific ?) and capabilities (e.g executable ? ), the driving of software engineering processes will probably remain more practices than principles. 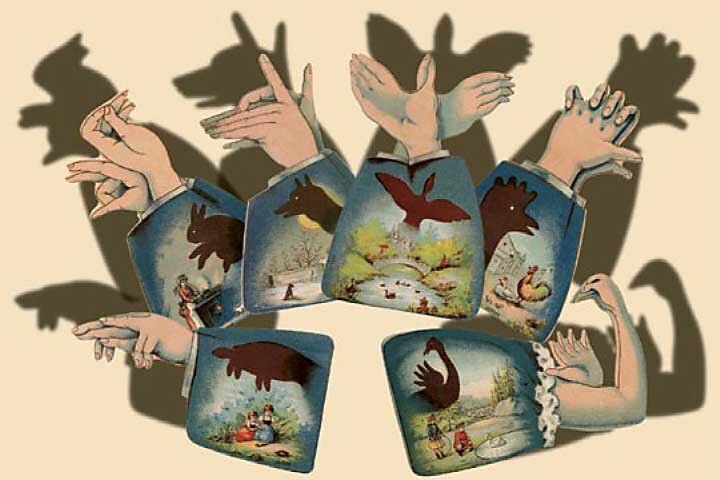 Models are shadows of reality, with their form and contents set by contexts and concerns. They can be characterized by their purpose and capabilities. Regarding purpose, models fall in two groups: descriptive models deal with problems at hand, prescriptive models with solutions. Descriptive models are partial and biased representations of actual contexts. Partial because they only deal with relevant objects, activities and features; biased because the selection is made on purpose. Prescriptive models are complete descriptions of artifacts. Extensional (aka denotative) languages deal with sets of identified instances of objects and activities. As they condone partial or ambiguous statements, they are best used for descriptive models. Intensional (aka connotative) languages deal with the semantics and constraints of symbolic representations. Due to their formal capabilities they are best used for prescriptive models. Business models are descriptive and built with extensional languages (business is often said to bloom on discrepancies). They are necessarily partial as they target specific contexts and concerns. Functional (aka analysis) models are prescriptive and built with intensional languages as they must specify the semantics and constraints of symbolic representations. Yet they are not necessarily complete since they don’t have to cover every details of business processes or implementations (cf traceability). Implementation models (aka design) are prescriptive with no use for extensional capabilities since the relevant physical objects, i.e extensions, are system components directly derived from system specifications. However, they must support complete and formal descriptions of component features. Business object, analysis and design, implementation. Models are built with logographic languages that should not be confused with phonetic ones: whereas the latter convey information sequentially, the former build semantics from different sources; that enables models to be read from different perspectives. Contrary to programs whose semantic is bound to a fixed sequential execution, models don’t talk alone, but must be chatted to. Even when their readings are sequential, the sequences are governed by readers, not by models. That point is pivotal if model transformation, arguably a pillar of model driven development, is to be supported along different perspectives and according different concerns. Besides, it must be noted that while models can be fully translated into (and reversed from) sequential representations (e.g with XMI), transcripts are just projections and should not be confused with models as such. Like talks, walks are sequential as they advance step by step. Hence, while some models can be walked (aka executed), such walks are only instances of behaviors supported by models. That should be especially clear for system models which describe architectures combining agents and devices as well as software components, contrary to programs which are limited to software components structure and sequential (or parallel) execution. Just like XMI transcripts should not be confused with original models, “executable” models should not be confused with fully fledged ones because they simulate the behaviors of agents and devices as if they were software components. While that may be useful for models targeting software components within a given architecture, ignoring the specificities of software, agents, and devices would be pointless when the objective is to design a system architecture. Defining models as abstractions may be correct but not very helpful when deciding what kind of abstraction should drive development processes. First, the question is to define how concerns and purposes should be used to define abstractions, in other words to set apart significant from non-significant information. Then, in order to avoid flights for always higher abstractions without burying models into ground details, some principles are needed regarding specialization and generalization. When systems are considered, abstraction levels are set by enterprise organization, systems functionalities, and platform technologies, with concerns expressed by business, functional, or technical requirements. Given a hierarchy of concerns, models must be set at the proper level of abstraction: below that level part of information will be redundant or irrelevant; above, useful features and classifications may be overlooked as some information will be either wanting or will not discriminate between variants. Inheritance should not cross model layers: hierarchies of business, functional and technical artifacts must be kept separate. Structures and behaviors pertain to different concerns: abstractions of objects and aspects should be managed independently. Specialization should be applied when subset of identified objects or behavior are associated with specific features. Generalization should be introduced when models must be consolidated. Such an approach brings significant benefits for reuse, arguably one of the main objective of abstraction. And that appears clearly when developments are governed by models and architecture components and mechanisms are to be shared across model layers. Reuse of business and functional models along functional tiers, with abstractions for structures (green) and aspects (orange). 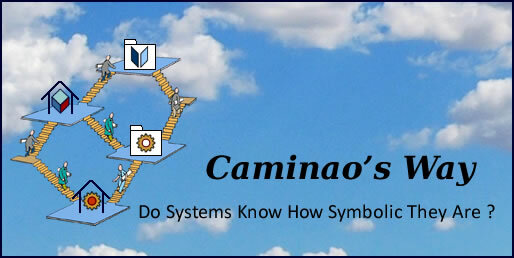 Computation Independent Models (CIMs) describe business objects and processes independently of supporting systems. Interestingly, both extremities of development processes are textual descriptions, informal at the beginning, formal at the end, with models providing bridges in between. As noted above, those bridges are not always necessary: texts can be directly translated into instructions (as illustrated by voice command devices), or project teams with shared ownership can develop programs according users’ requirements (as promoted by Agile methods). Yet, the question should always be asked, and when textual requirements cannot be directly developed into programs the first task should be to draw the shortest modeling path. Language translation: as presented by the report of the Dagstuhl Seminar, meta-models can be designed according their generic transformation capabilities and used to single out language constructs in order to transfer model contents into another language. Separation of concerns: as development advances and models take into account different concerns, meta-models can be used to monitor and control the selective processing of corresponding contents. That could be achieved if transformations were governed by traffic signs singling out relevant features and waving aside the leftovers. Each option points to a different perspective, the former targeting tools providers, the latter aiming at modellers. 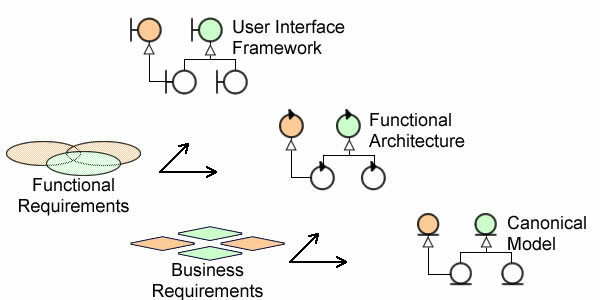 Whereas MDA layers (for business, functionalities, and technology) clearly point to models built with the Unified Modeling Language according organizational, functional and technical concerns, most of current implementations follow the language option; while those tools may be (theoretically) open at technical level, they usually rely on domain specific languages. By narrowing functional scopes and relying on automated translation to bridge the gaps, solutions based upon domain specific languages can only provide local solutions to fragmented problems. That road could be a bumpy one for model driven engineering. Thinking again, the “MDA” moniker can be misleading as it may blur the distinction between models and their contents: given that MDA model layers effectively correspond to architecture levels, the pivotal MDA contention is that the modeling of systems is meant to be driven by enterprise architecture divides. Next Next post: Agile vs Waterfall: Right vs Left Brain ?